Eileen McAdam discussed how she was using 21st century tools to reach new audiences. She’s been working for many years to engage people in the Hudson Valley through stories through the Sound and Story Project of the Hudson Valley. 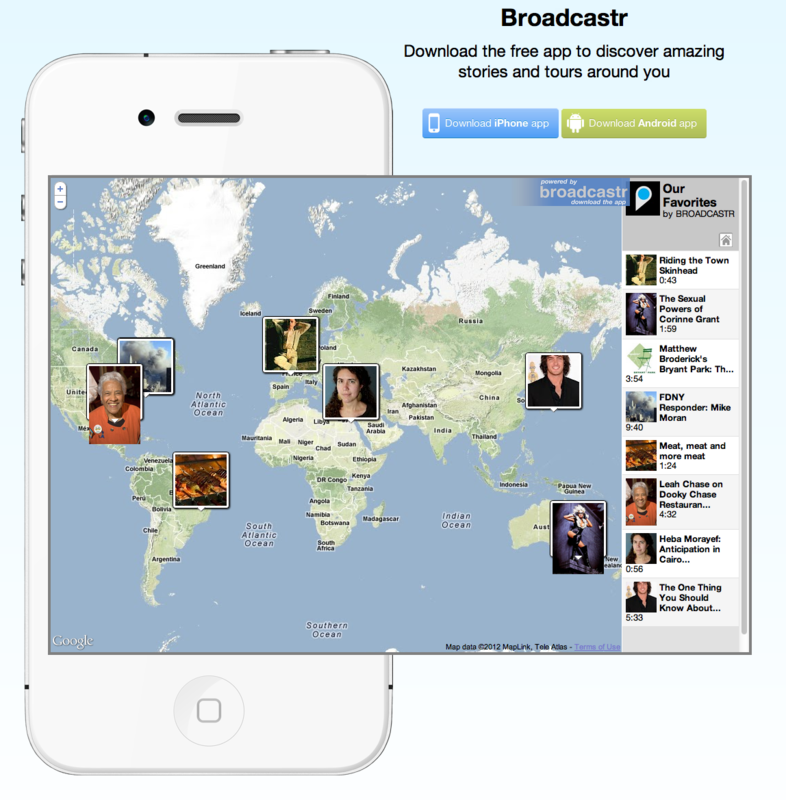 Rather than deliver audio tours as lectures, she presents stories from the people who live there. She noted that it was difficult to find oral histories that were recorded previously (often they’re not catalogued or easily available) which led to a partnership project to identify what had been done, conduct condition assessments, access the content, and then use the materials to engage new audiences. Much of the initial growth of oral histories came with the availability of inexpensive cassette tape recorders in the 1970s and this project’s work was to graduate these collections to digital formats. In her presentation, she outlined the process of digitizing and editing files to select compelling content and create 1-2 minute stories, recommending Audacity (free), Garage Band (comes with Mac), and Hindenburg (inexpensive), and providing some examples of edited snippets and presentation methods, including “bodies on ice” from Hudson River Valley Heritage; “I Bought This Barge for a Dollar” from the StoryScape Radio Program; Broadcastr, an app that finds stories and tours near you; and SoundCloud, an app that allows you to record and share audio on social networks such as Facebook. 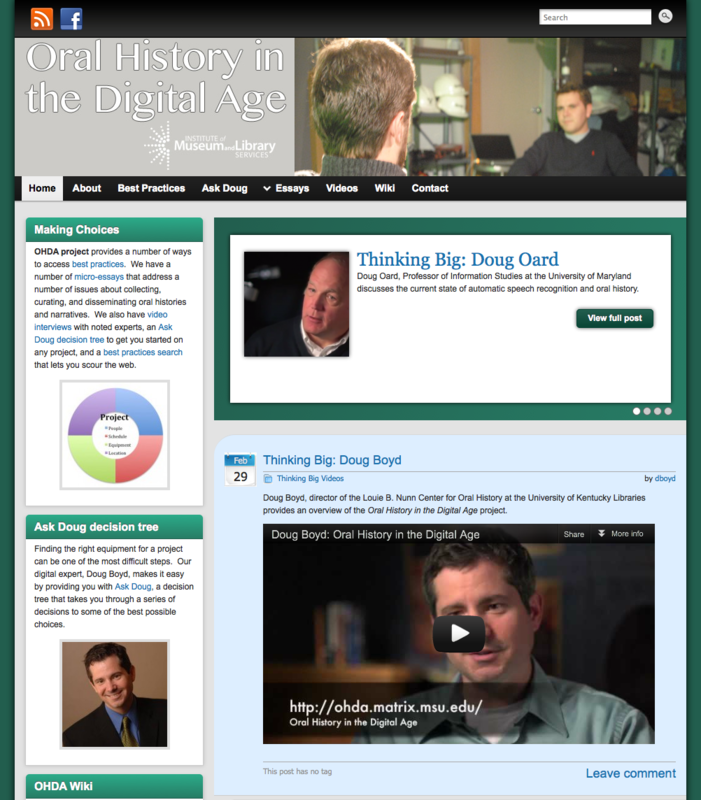 Oral History in the Digital Age, an online resource launching in May 2012. Dean Rehberger of Michigan State University discussed a major project to document digital oral history practices, which began with a national survey and turned into a website featuring a wiki listing 145 best practices with citations, authored micro-essays (2-5 pages, regularly updated, covering lots of topics), and interviews with leading practitioners. He’s discovered that the traditional linear model for oral history (funding, research, recording, storage) has moved to a concurrent model of collecting, curating, and disseminating, and that some issues have been resolved (digital audio recording standards) but not others (video recording standards, metadata, collecting ephemera, copyright and intellectual property in digital age). This information will be shared on a new website, “Oral History in the Digital Age” beginning on May. Robert Warren at the Illinois State Museum discussed the Audio-Visual Barn, an oral history project on Illinois agriculture that made 61 old and 50 new oral histories available and is searchable by interview or segment. The new interviews were selected for diversity and were conducted both as sit-down and on-site video experiences. Each interview was subdivided into segments and indexed by topics, names, places, and dates using InterClipper. Unfortunately, its website at avbarn.museum.state.il.us does not seem to be available as of this posting (I’ve sent them a message about it, so I may have an update soon). Transcripts are searchable and easy to scan, but expensive ($220/hr to make available online) and first drafts prone to error. It’s only possible to do ideal transcripts with a large staff. Embedding time code in transcripts but still expensive to create transcripts and use proprietary software. With limited staff, they completed 700 interviews in 3 years. Developing their own software to index interviews by topic with no transcript (costs about $20/hour, allows LC subject headings and keywords, partial transcripts, title, GPS coordinates, synopsis, and hyperlinks). Oral History Metadata Synchronizer (OHMS) is an open source software in Vanilla PHP and XML and works with Omeka, Drupal, CONTENTdm, but requires training and there’s potential to do indexing via crowdsourcing. It’s not available yet but will be later this year.